Our 41,000-square-foot Minneapolis showroom is the largest office furniture store in the Twin Cities! No other company offers our endless supply of in-stock chairs, file cabinets, desks, tables, and more. 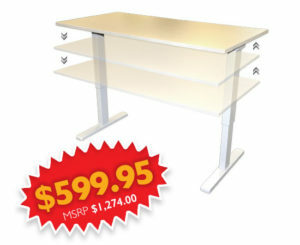 We stock office equipment from over 300 manufacturers in our warehouse, and even create custom furniture solutions. The Podany’s experience isn’t just about our products, it’s about you! Our office furniture experts can help you make a purchase that fits your needs, as well as plan and design the layout of your office. Whether you’re buying for a small or large company, or just a home office, Podany’s is the place to go for office furniture in the Minneapolis-St. Paul area.